Michel Oltheten (1954) started to practice zen meditation in 1993 in The Hague with Cees van de Bunt. That same year he met Catherine Genno Pagès Roshi and asked to become her student. In 1995 he and his partner Helen Pelder together received lay ordination (Jukai) from Genno Roshi. From 1994 onwards, when Roshi opened the Dana Zen Center in Paris, he began to travel between The Hague where he lived with Helen and their three children, and the Paris Zen Center. The frequency of these stays in Paris increased steadily and he would spend several weeks and later months a year there. 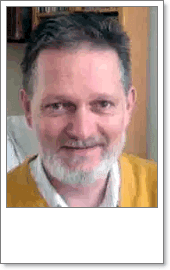 In the Netherlands he worked as the CEO of an industrial organisation and later as therapist and counsellor. With Roshi’s permission he and Helen started an affiliated zen meditation group in The Hague in 2001. This group gradually developed into the Zen Heart Sangha, with Michel as spiritual leader, and became an independent organisation in 2010. In 2011 Michel stopped working as a therapist and became a full time dharma-teacher-in-training under the tutelage of Genno Roshi. In 2014 he received dharma-transmission (shiho) from Roshi and became a fully authorised teacher in the White Plum lineage (see the page about our lineage). While working as the resident teacher of the Zen Heart Sangha, he continues working as assisting teacher in the Dana Sangha in Paris. He teaches the practice of just wholeheartedly sitting (shikantaza) and the practice of Koan study. “Practice is not about getting rid of passions, desires and fears but about working with them and through them. It’s about seeing them clearly, seeing “me” clearly. It is about seeing through the thoughts and feelings, the certainties and ideas about what and who I am, so that the vast background becomes visible, within which the self and all things appear. This is really who I am, and it includes and includes, without knowing. As my fixed perspective is let go of, the utter unfixedness of me and all things becomes visible and the truth emerges. Eventually, meditation is about bringing this truth, this home coming, into our very own personal life, so that it might work in other lives. “I am ME”, having been reduced and expanded to “I Am”, evolves into “I am You” and “Me and You”. Now we can really relate”. The Zen Heart Sangha is a buddhist community of lay zen practitioners founded by zen teacher Michel – Plein Ciel – Oltheten Sensei, dharma successor of Catherine Genno Pagès Roshi, of the Dana Sangha Paris. The Zen Heart Sangha is part of the greater White Plum Asangha, founded by Hakuyu Taizan Maezumi Roshi, the modern day founder of our lineage and one of the important Japanese zen masters that brought zen buddhism from Japan to the West. The Zen Heart Sangha Nederland has it’s practice center in Den Haag (The Hague), the Netherlands. Three periods of sitting meditation (40, 30 and 30 minutes) and opportunity for daisan (personal interview). Free-range zen (beginning at 7:30 and leaving when you need to) and opportunity for daisan. Two periods of sitting meditation (40 and 30 minuten) and dharma lesson. Three periods (40, 30 and 30 minutes) and opportunity for daisan. One period of sitting meditation (40 minutes) and study group. We have just finished studying “A Year to Live” by Stephen Levine. The study group will start a new project titled “Happiness” in August this year that will run for approximately 10 to 12 weeks. Two periods sitting meditation (twice 30 minutes) and dharma lesson or Council Practice. The weekly schedule takes place in the zendo at the Copernicusstraat 20 in Den Haag. If you would like to participate, please give us a phone call in advance. The first time you visit, we meet usually at 19 hrs for a brief introduction. Besides the weekly schedule we orgnanise short and longer meditation retreats (from week-ends to week-long) in Den Haag, in Holten in the east of the Netherlands. Please refer to the Events page. The word “sesshin” can be translated from Japanese in different ways, such as “gathering the mind”, or “raising the mind together”, or even “together one mind”. A sesshin is a period of intense silent zazen practice and we keep speaking to minimum. A sesshin is designed to offer the participants an opportunity to be intensely and directly present in the now. When you sit, just sit. When you walk, just walk. When you eat, just eat. In our usual state of mind we are very often distracted. Mentally we are occupied with other things than what ever the moment presents. A sesshin is an ideal opportunity to deepen our concentration, our openness and our presence. It’s also an opportunity to take a step backwards, to disengage from our everyday busy lives and to be collectedly present. We regularly organise weekend sesshins (starting Friday evening at 18 hrs to Sunday afternoon 17 hrs) but also three day, four day and week long sesshins. Every year In the summer we participate in a two week retreat in the French Jura, organised by the Dana Sangha Paris. We also hold a week long Zen Heart Sangha summer retreat in the east off the Netherlands. During sesshin there are periods of sitting meditation (zazen), walking meditation (kinhin), meditative work periods (samu), the opportunity to have private interview (daisan) with Michel Sensei, dharma talks (teisho) and suttra services. Part time participation is almost always possible, but full time participants will have preference when a sesshin is fully booked. For the full program see the Events page. The word Zazenkai means “gathering for meditation”. A zazenkai is a one day retreat that is less intense than a sesshin but has the same intentions and purpose.